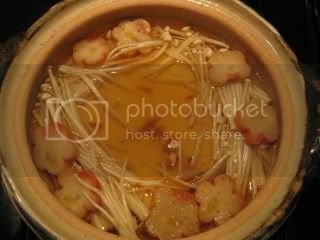 This is another very simple Japanese dish. 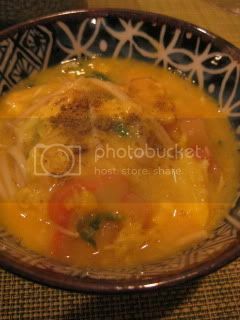 It's also a shojin (Buddhist-style vegan) dish. It's very easy to make, and also I can normally make it with typical ingredients which I hardly run out in the kitchen (tofu, eggs, some kind of mushroom, and fu). This dish is also very soothing and easy on your stomach for digestion. 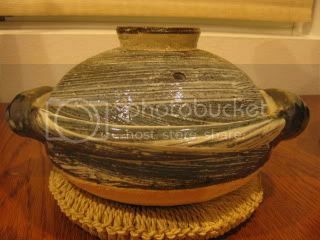 For this, I used my small-size classic-style donabe, "Hakeme". Served with some sansho pepper. Beautifully tasty. 1. 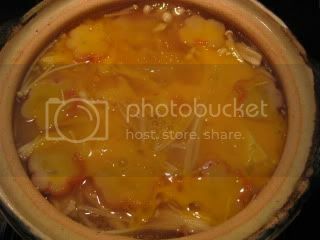 In a small-size donabe, combine the dashi stock, mirin, sugar, and soy sauce. Bring to simmer. 2. Add the tofu, fu, and mushrooms. Simmer for a couple of minutes. Slowly drizzle the kuzuko-water mixture into the broth and stir. 3. Drizzle the eggs over the ingredients. Cover and continue to simmer until desired doneness. 4. Serve with shiso leaves and sansho pepper.